The fact that there is a Filipino community in almost every corner of the world is comforting if you are an entrepreneurial Filipino with a business plan: It means that at least you have a consumer base you can relate to, and a “home court” to take advantage of. In the case of Lorena “Nena” Mondonedo-Perez, it was key to building a cosmetics company in 2010. Perez realized that everywhere in the world, millions of women put on makeup that does not match their skin. “There are thousands of makeup lines out there—what will set me apart? I didn’t want to compete with big brands, so I created a makeup line suited for my skin type—Asian and Latin American,” she said. 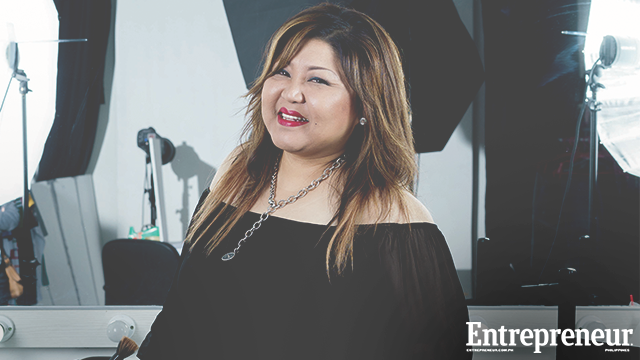 Perez not only looked for the best manufacturer, but also sought to add value to her makeup line by incorporating skincare ingredients in her products. “I didn’t want to put a product out there that I wouldn’t use myself,” she added. Originally, Nena Cosmetics was built to cater to the estimated four million Filipino women in the US, but thanks to e-commerce, Perez has also brought the brand to Canada, Dubai, and Mexico, and eventually, to the Philippines. Being a Filipino brand is a selling point for Nena Cosmetics. “People think, why not support this makeup? It’s made for Filipinos by a Filipino,” Perez said. Perez is also looking to open distributorships in the US. The idea is to have people move the products for her, after she launches Nena Cosmetics through a workshop, usually among Filipino neighborhoods. Apart from these small makeup workshops Perez conducts herself, there is no other marketing ploy for the balikbayan (returnee) cosmetics brand. 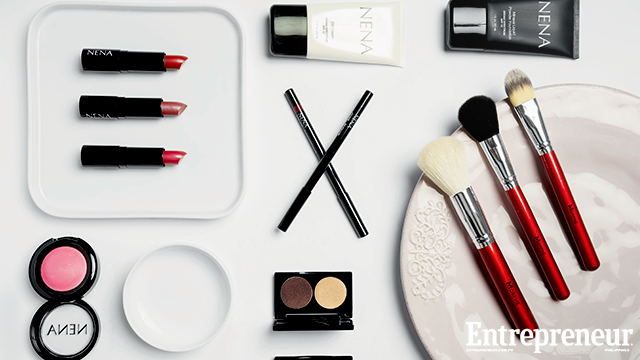 Word of mouth buoys Nena Cosmetics’ popularity. The makeup line sells itself, Perez said. In the US, most Nena purchases are made online, after women hear about the products from a relative, a neighbor, or a friend. But Perez wants to put up small retail outlets soon, recognizing that when it comes to makeup, consumers want to try the products before buying them. “That’s the reason most cosmetics brands have counters in malls,” she said. In 2013, encouraged by how Filipinos in the US received Nena Cosmetics, Perez brought the brand to the Philippines via Zalora, an online marketplace friendly to small, independent producers like her. She is aware that her makeup line would have to compete with ubiquitous Korean brands, popular US makeup, and maybe cheaper local beauty products, but she is confident in the niche her brand is carving. Perez said entrepreneurs should be ready to step out of their comfort zones in order to grow. In her case, it meant letting go of her accounting job to become a makeup artist and familiarize herself with the beauty industry and varied markets. “I knew that I had to take two steps backward in order to make one big leap forward,” she said. Kim is the co-founder and head of marketing of Technablers, Inc. He also served as public affairs and media relations officer for Senator Miriam Defensor Santiago. Follow him on Twitter, @kimpatria. This article was originally published in the August 2015 issue of Entrepreneur Philippines magazine. Minor edits have been done by the Entrepreneur.com.ph editors.